For years it has been clear that if we don't do something about invasive conifers they will overrun the landscape and our world-famous autumn colours would become be a thing of the past. The patches of dark green breaking up the spectacular autumn curtain of golds and reds are just a hint what’s to come. The Douglas fir trees are a virulent seed source for untold numbers of seedlings that, given the opportunity, will smother and completely outstrip the colourful deciduous trees. The problem is made doubly difficult by the fact the autumn colour trees are themselves invasive wilding species. In 2017 the Arrowtown Village Association formed the Arrowtown Wilding Group to tackle the problem. This subgroup has been working with stakeholders, including Soho Property (the leaseholder of much of the land in the hills behind Arrowtown), Wakatipu Wilding Conifer Control Group, Queenstown Lakes District Council, Otago Regional Council, Land Information New Zealand, the Department of Conservation and the Arrowtown Promotion and Business Association. In July 2018 the AWG's Arrowtown Wilding Strategy was officially adopted. 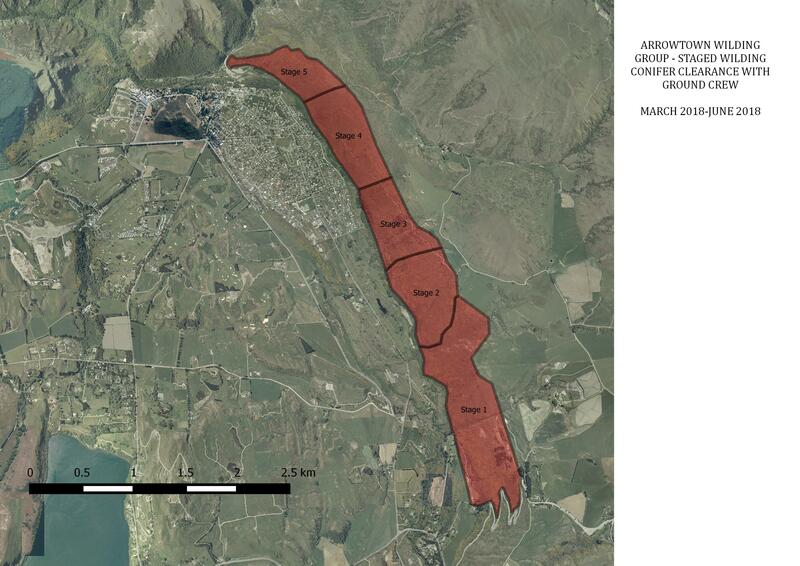 This document maps a pathway for both wilding control and enhancing Arrowtown’s autumn colours by replanting with a mix of non-invasive colour species and natives. The programme will run over at least 20 years, with fundraising and community involvement ongoing. Ground control work funded by a Ministry of Primary Industries grant and overseen by the Department of Conservation began in early 2018. Trees were felled around the Arrow River heading to Macetown. 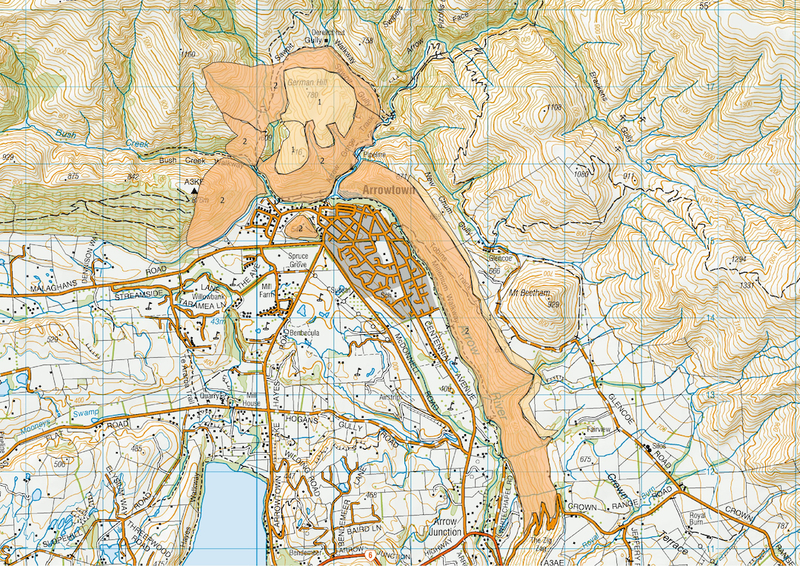 Work on Tobins Face began, with felling starting at the Crown Range zigzags and working its way back towards Arrowtown. In 2019, with funding from Central Lakes Trust and Community Trust South, we will push on with ground work and aerial spraying on German Hill to remove coning trees from the equation, and over winter felling will continue on Tobins Face. A trial planting of replacement trees will be conducted. If you’d like to get involved in the war on wildings, the Arrowtown Choppers volunteer group coordinates community members to manually remove the pesky wilding plants.